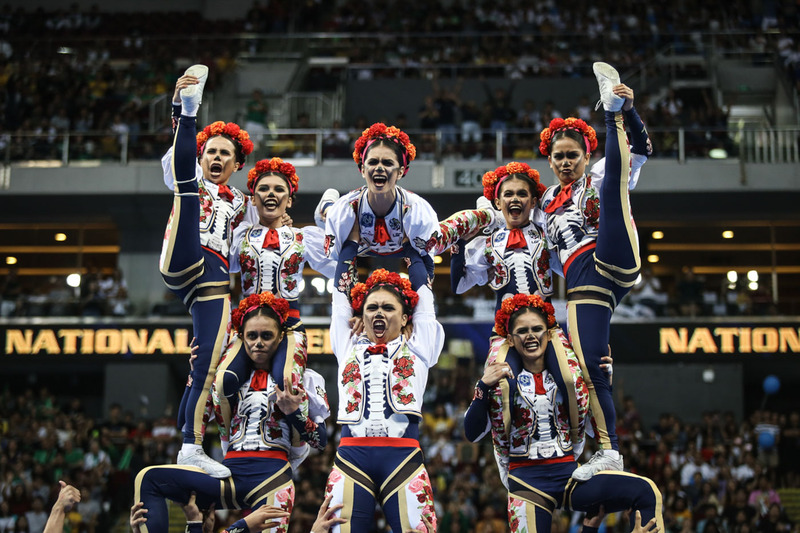 High-flying acts, crazy dance routines, and a bit of friendly trash talk highlighted another successful year for the annual UAAP Cheerdance Competition which saw National University taking home the top prize. 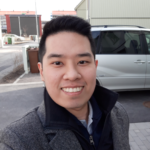 Amidst all the glitz and glam, however, was another trending topic of discussion, one which saw the pvblic’s apparent fascination with gyrating men and their private parts. 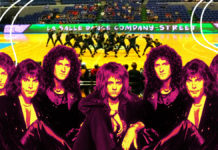 Multiple clips of male cheerdancers were uploaded on Twitter during the event, with each gathering thousands of retweets and likes. Most of the replies to the viral tweets wholeheartedly supported the trend. Said fascination obv didn’t sit well with others, leading some to point out the clear double standards in the objectification of men vs women. Kapag sinabi sa babae na "Huy ate bakat ah sarap" siyempre bigla niyong idedefend si ate girl. 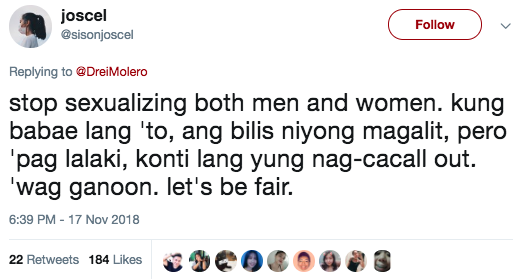 Tas kapag sinabi sa lalaki "ha? Hatdog mo kuya bakat yum yum" puro retweet retweet retweet retweet. Isa pa ‘to. This has been said so many times before, in so many different ways: harassment is harassment regardless of the victim’s gender. 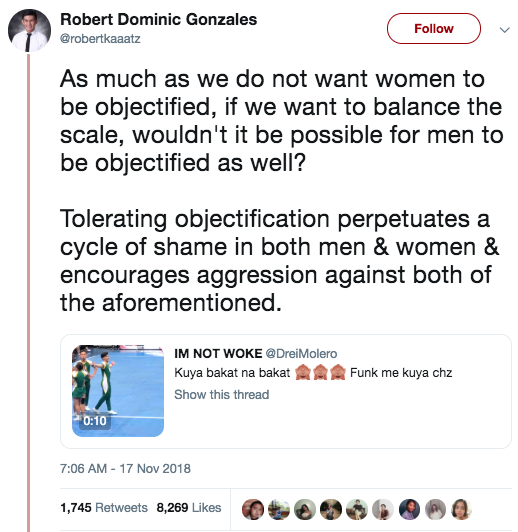 The sexualization of men vs women has been a hot topic of debate over the years, with known publications like Marie Claire and Elite Daily going so far as to lay down key points on why it’s completely valid to objectify men but not women. But how about you? Do you think sexualizing men is acceptable, and if it is, where do we draw the line?